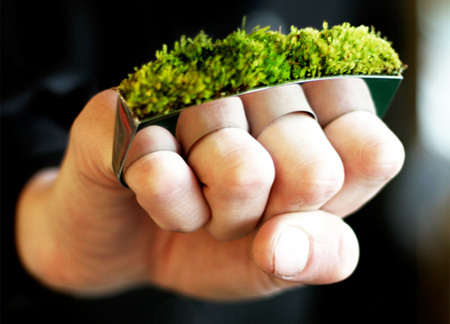 Collection of unusual and creative green product designs inspired by nature. 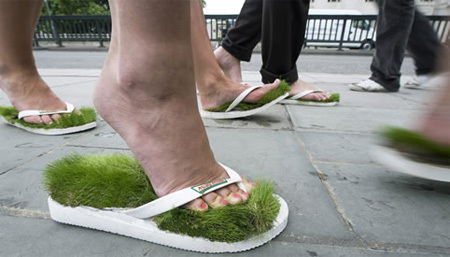 Take a walk in the grass wherever you are in these unusual flip flops. 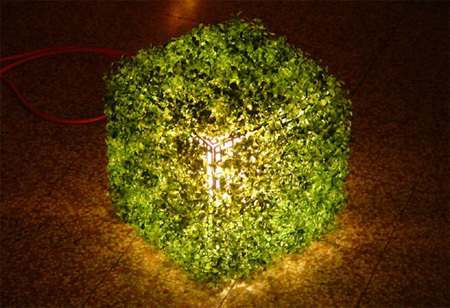 Made entirely from recycled materials, including the synthetic grass. The cube structure of the lamp gives it added versatility, letting it rest on the floor, on a table, or suspended from the air. 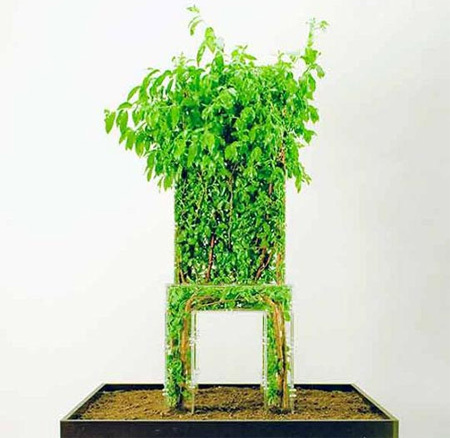 Unusual moss bathroom carpet designed by Nguyen La Chanh. 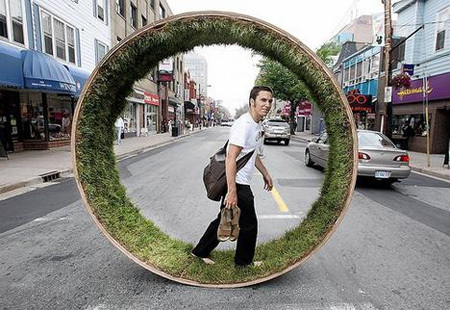 David Gallaugher’s creative grass-lined wheel allows you to take the park with you wherever you go. Tombstone packaging with fake grass on top of the DVD set. 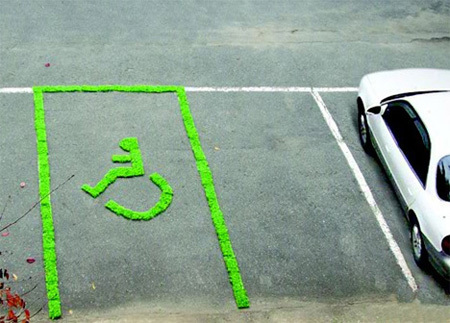 Ji-Hye Koo covered painted parking line dividers with Nature On A Tape – a pre-potted grass strip. 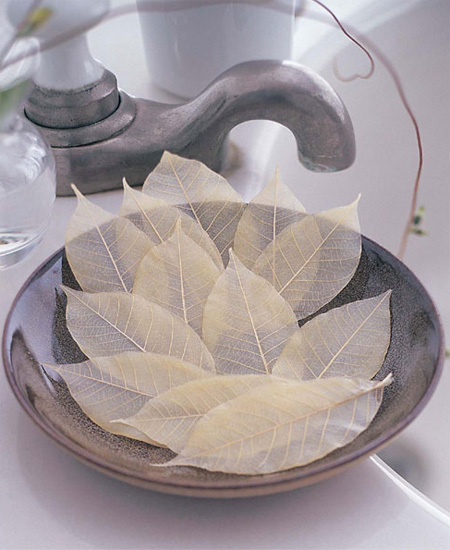 This unique soap is hand poured over dried frame of the real mango tree leaves to form creative soap of unmatched exquisiteness. 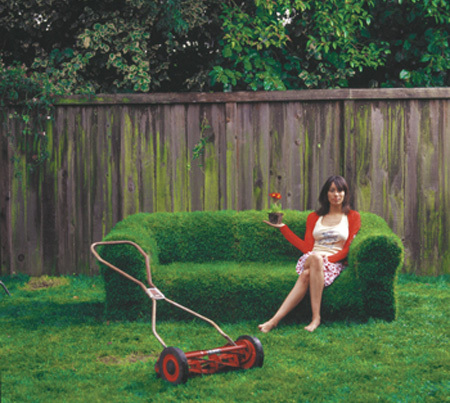 Ready Made magazine teaches you how to grow a grass couch. 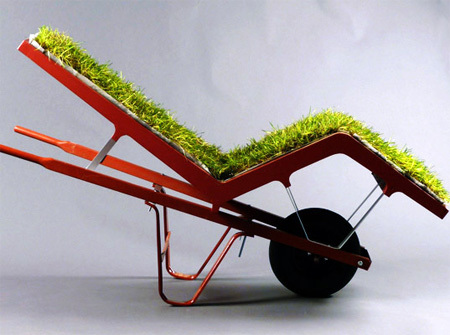 Alive chaise lounge, a mobile planter and a human transporter. Designed to hold a few drops of water and a fresh bloom. 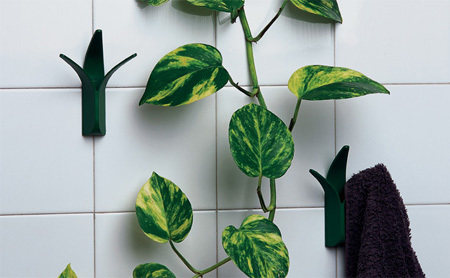 Beautiful nature-inspired towel hanger for the bathroom. Designed by Hafsteinn Juliusson, growing jewelry is a redefinition of modern values. It is a clash of jewelry and gardening; couture and organism. 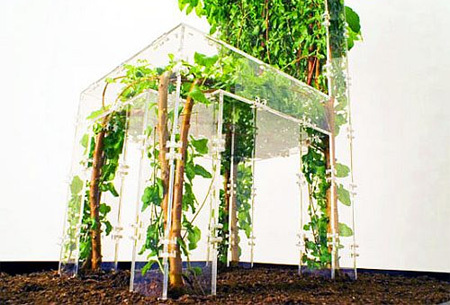 Designed by Michele Bussien, it is essentially a clear plastic frame that you place over a growing tree to transform it into a chair shape. Beautiful designs, love the flip flops! 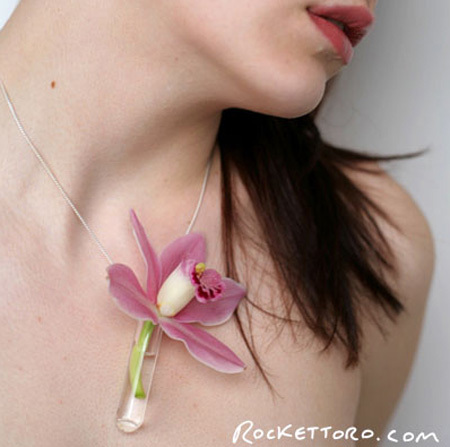 Sweet, love the fresh flower necklace design. This is taking GREEN to a new level but nothing matches the EXQUISITENESS of the leaves. WOW! I’m blown away by the artistry! Some beautiful work here, but I gotta say: the items featured in this showcase are less “design inspired by nature” and more “plant-themed design”… big difference, really. haha. i love this. 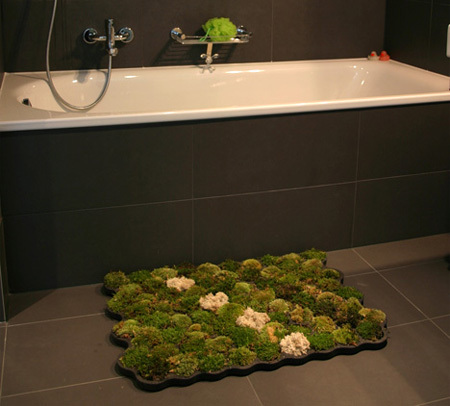 is the bath mat real moss or synthetic materials? Love the grass wheel and the lounge chair. Very creative and fun. The other stuff looks like regular stuff with stuff growing on it.